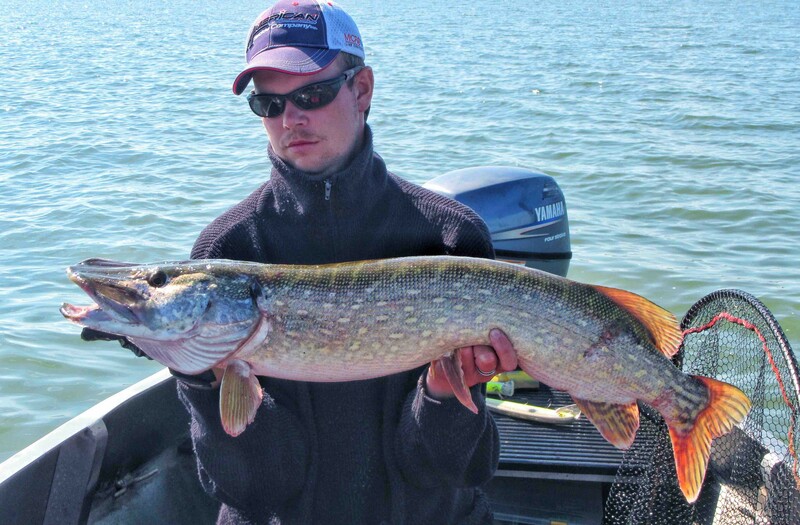 Pike fishing is all about one thing in particular, deep water and structure! Of course there can be plenty of action in the shallows, but the real magic happends in the deep. Under water structure, like weeds, rock piles, sand humps or sunken trees give cover to fish, and not less important, provide a home to the real monsters. Catching the fish or your dreams is all about finding the right places and being there at the right moment in time. 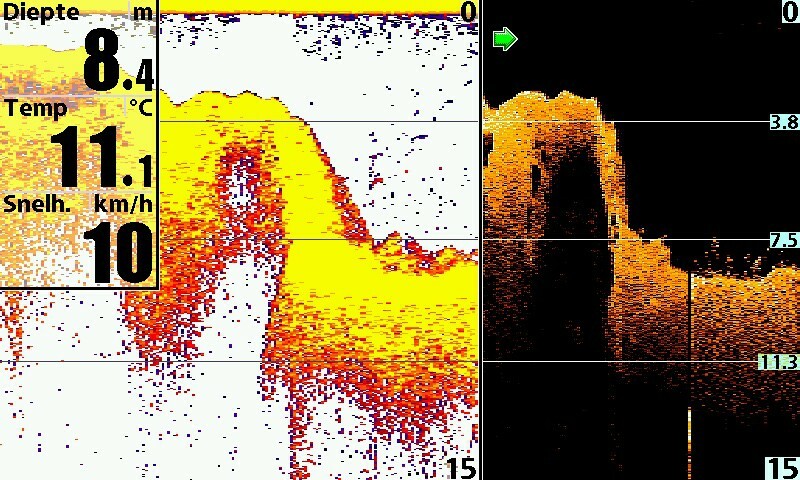 Steep drop-offs from shallow into deep water are a magnet for any large predator, and in this article you can read exactly why it’s just that! Let’s think straight. If you picture any type of scenario where shallow water moves slowly into deeper water, there’s nothing fancy about it. Slow edges are nothing special. Simply because they don’t provide cover, and that’s exactly what we are looking for here in this topic. If you think about it, it makes sense. Imagine standing on top of a mountain and looking down. The steeper the angle from top to bottom down below, the more structure you’ll find right? The slower the drop the less exciting it all gets. Steep drop-offs are intimidating. You’ll never know what’s lurking down below in the dark depths, you just can’t tell, or maybe it scares you and just don’t want to know. That’s exactly how the baitfish feel. They don’t want to be there, yet they can be found in such places in high numbers. Why? The steeper the drop-off, the more fish you’ll find. Deep water ledges have an angle of roughly 120 degrees in most common situations. They prodive a huge cover to any type of fish, even predators. On sunny days, they are the shadow side, and on windy days they cause massive turbulence underwater from waves crashing into the shallows. It’s the perfect hiding place for Pike, Big Pike! From the surface to 6ft below, can be catagorized at the above section of a deep edge. This is the area where most of the sunlight goes down, and the place where you can find most weeds growing along the edges. In Spring, Summer and Fall, you can find all type of fish in these shallow areas. Water get’s warmed quickly by the sun, so this is usually the place where you’ll find the smaller fish hiding in the shadows of the weeds from the Big ones. However the Big fish are always suspended near the drop, in this case close to the edge of the weeds, where they’ll scatter around for baitfish and potentional prey of their own species. Fishing for Pike on the Top of a drop-off can be very exciting. Not only are you enabled to use a wide variety of baits, but the amount of action you’ll get makes fishing here very rewarding! The Bigger fish don’t really like shallow water so much. This has everything to do with the water temperature. In Summer, when temperatures climb quickly, the Big fish swim out to the much cooler waters of the deep and are present around the edge. So basically when the water reaches above the 70F (22C) mark they’re out on the move. In Spring / Early Summer and Fall, they move back in to the shallows. In Spring fish of various lengths and sizes can be found ultra shallow to spawn. 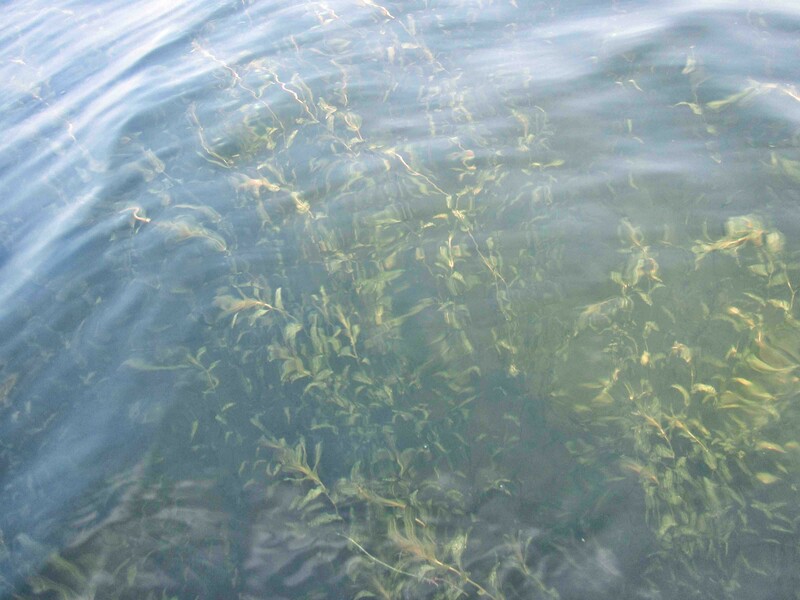 Late Spring or early Summer, they move out a bit closer to the edges of the weeds, and in Fall they move back in from the deep water to feed on the many baitfish that are present and get nice and fat for the cold Winter months to come. As mentioned before, the Pike can be found around 6ft deep. This all depends on the amount of sunlight, and the density of any weedbeds that are available to the fish. It’s known worldwide that Pike absolutely hate bright sunlight, and since they’re known as ambush predators, they’ll find places to play hide and seek in the shadows. Usually at any given point, the fish move back in to the shallow waters at night, while they stay there till the morning / mid noon, and then they’ll move back out to the deeper edges in the cooler water, and vice versa. Of course, all depending on the season. 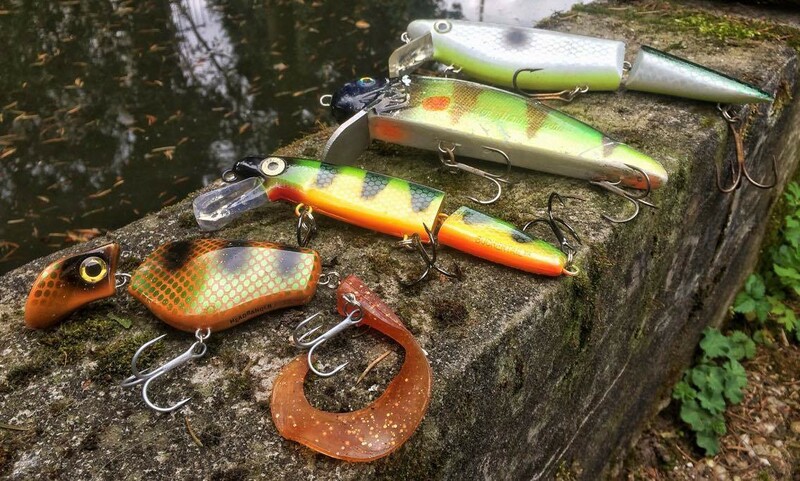 Fishing the ”Top” waters of a deep water edge, such as the one shown in the cover of this article, can be done with a wide variety of different lures, and if your’e the kind of guy like me, you’ve got a huge arsenal to choose from so that you can cover any type situation and stay onto the fish. 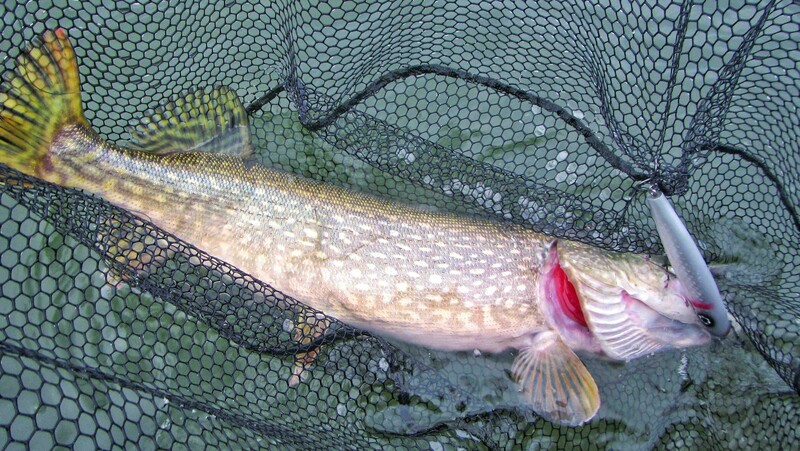 Catching Pike in these shallow areas can be done by fishing with jerkbaits (pull & glider style baits), swimbaits, softbaits, or even topwaters. It’s all a matter of showing of flash and vibrations to trigger stikes. Variation is key, and once you discover a pattern that works, you can be very succesfull! Above all this, there will be also situations where you don’t want to be casting alongside the edge all day, but rather be trolling. This technique is sure set to put alot of fish in the boat when done right. It can be something that ”demands” alot of concentration from the angler, because no drop-off on earth is dug perfect for you to go over in a straight line. Here’s is where the skills of the angler come in. Let’s picture a scenario where you just know there are weedlines, or nothing at all and just a dark scary drop alongside an edge. You don’t want to run over the top, but you also don’t want to go down too far inside or out. What you want is to positionze the the boat around 5 feet over the edge. This enables you to fish a rod on each side of the boat without reaching out of the strikezone. One technique that is truly effective here is short-line-ing baits. The crankbaits shown in the 2nd picture down below are some that are my absolute favourites. The key here is nothing more than having a maximum of 15 feet or line out, on a fairly high speed. Trolling somewhere around 3-4mph is the speed you are looking for. Why this fast? Simple: One minute you’re above 6 feet of water, the next you can be above 20. The drop can change rapidly if you least expect it, and like mentioned above, you want to stay in that 5 feet range from the edge all the time. When cranking baits on a short-line this way behind the boat, you’ll always stay within striking range and things rarely can go wrong. From 6ft down roughly to around 13ft, can be catagorized as the ”Centre” section of a deep water edge. This is a key zone where most of the magic takes place. Not too deep, not too shallow. No matter what the season might be, there are always fish suspended in this area. They can move out easily to the shallow waters above, and just as easy to the dark depths down below. The Pike can be either found right on the edge, or a bit further out into the open. While they positionized themselves near the baitfish in the shallows, in the the mid water area’s, since there is no real cover such as weeds or debris, they stay more or less behind. Often it’s claimed when you’ll find the baitfish in these type of conditions, you’ll find the Pike. But that’s a fairy tale, cause most of the fish, and especially the Bigger ones tend to stay numerous yards behind. Remember like I just said, there is no cover here, execpt for the drop, and most baitfish are somewhere suspended either around the edges, or in the layers of a body of water where they feel comfortable. Many waters hold type or areas of cold [in Summer], warm [in Winter] welds, where water comes out of the ground and baitfish feel at home, and 90% of the fish can be found in 10% of the water, so once you’ll found the baitfish, the Pike are somewhere around. Don’t be surprised if you found the baitfish at one spot, and the Pike 50 yards away. This is quite common, and when you think of it, very clever indeed. Now how to fish these areas? Easy. With baits that stand out! 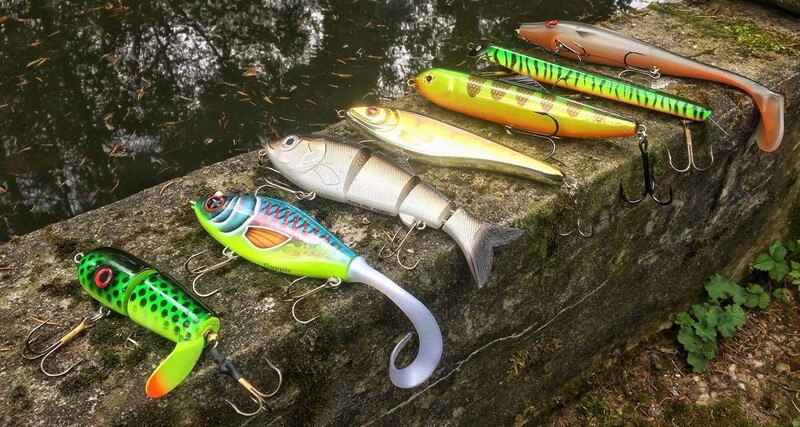 Large profile lures, such as swim or crankbaits, and tight action cranks that trigger enough vibration that causes fish to turn on instantly. 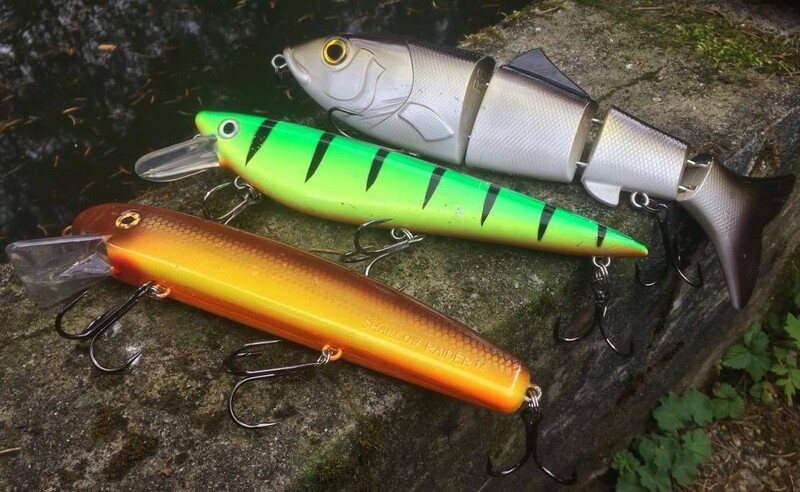 Crankbaits that pull of alot of flash are an absolute magnet when it comes to fishing these areas, and weighted swimbaits can work as well. Usually the profile of your lure is the key here, but on some days when nothing seems to work, scaling down the size of your bait can be the real game changer. This is where the small crankbaits come in. 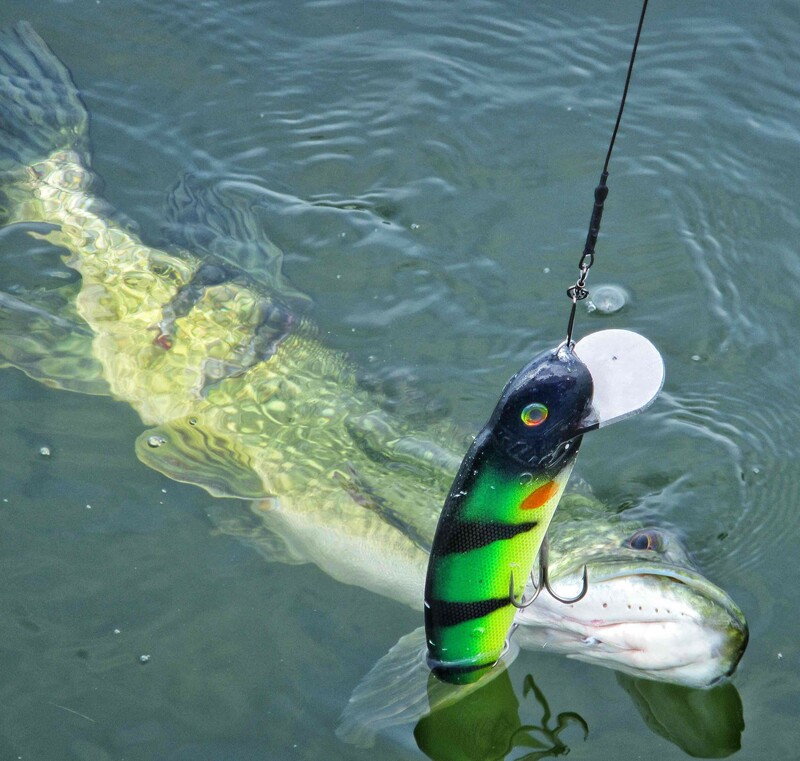 Depending on the season you may choose to speed up your presentation or slow it down, but the erratic action of a crankbait is something the fish cannot resist at all times, especially when the bite is off. They want something that triggers their senses, and serving nervous baitfish imitations can work wonders at times! 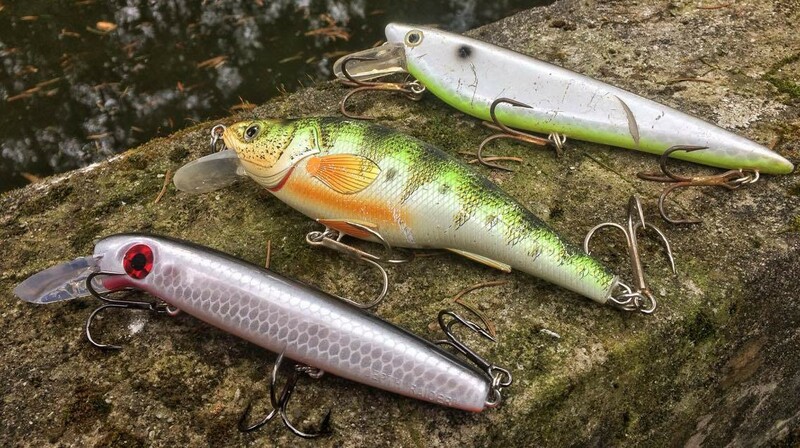 When it comes to fishing smaller crankbaits to pull in strikes, I like to fish baits that are somewhat white or completely white. They reason for this is again, belly flash. When nothing else seems to work, this can be the changing factor which will put you on the fish. I remember a day fishing when the bite was so off, nothing seemed to work. After trying several layers of the water there was no action to be seen, not even a strike. It was a day in the Fall, and the Pike just had to be there somewhere half way, but nothing could change the game of putting fish in the boat. Suddenly I decided to put on a white belly lure that gave off alot of flash and vibration, something that always works in cold-front conditions. Now this wasn’t a cold-front situtation, but it sure was an extremely slow day. You know what? That seemed to work, cause all of a sudden the strikes came, and before I know it we were catching fish. From that day on, I always carry some white belly baits to run in the mid water. Days like these when nothing seems to work can be used for experimenting as much as you could possibly want to. It wouldn’t be the first time to discover a different pattern that you would normally not even cross your mind. So again, variation is key here! Catching Pike at the bottom of any water is a whole different game. In alot of situations the fish don’t stay suspended on the edge, but go down to deeper water, to find bottom and shelter from falling or climbing air pressures, as well as changing wheater patterns. No matter what depth, there are always fish living down on the edge all the way down in the deep. Most Pike stay either right on the drop close to the bottom, or far away in the dark. 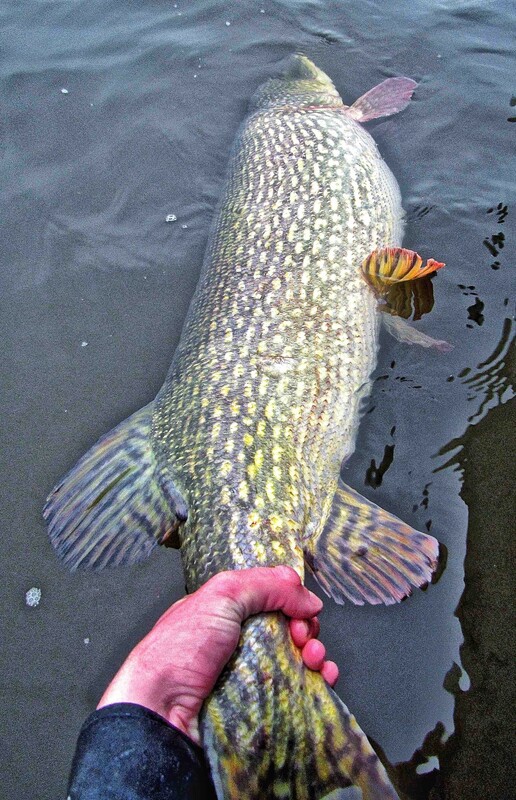 In these deep waters, the edge supplies plenty of cover for Pike to hang around. Also this is the place where baitfish find shelter against the sun and fearsome predators. Usually you’ll find most of the Big Pike on the bottom. The reason for this is pretty simple. Big Pike, especially Monster Pike absolutely love Bream, Carp or other meals, and these fish are always present on or near the bottom. In places like this, there is no real cover, other than underwater structures from sunken structure, sticks, stones or debris. That however, doesn’t matter for Pike. They have the bottom as their cover. This is also the main reason why on some days, you’ll find many of the smaller fish down deep. Sometimes it gives me the idea that when the smaller fish are all the way down, the Bigger ones cruise the shallows. But one can never tell, as we can only guess what’s going on in the dark depths underneath us. You also might not want to know everything, cause fishing for Pike in deep water should also remain a mystery. In fact, catching Pike here is fishing from another dimension. First of all you’ll need lures that go down down, and by deep I mean 20 feet or deeper. Now, there are alot of baits that run this deep, but it doesn’t mean you have to fish this deep! Basically what happends here, is that most Pike that live in depths of 20 feet or deeper, are hanging around on the bottom. It doesn’t matter if it’s Summer of the depths of Winter, active fish stay always a couple of feet from the bottom down below. Inactive fish however, might be lying close, or even into the mud that can be found on most bottoms. Here we get into the Jigging for Pike topic, but that’s a whole different story that we’re going to be talking about in other future articles. Anyway, what we’re about to focuss on here in the subject of fishing deep water, bait that run down where you want them to. This is where the deep diving crankbaits come into place. I’m a huge fan of using either a DepthRaider by Joe Bucher Outdoors, or a Cisco Kid by Suick. Two reasons for this. One is, these baits enable you to reach at least 20 feet or more, and second, their action is second to none. Keeping in mind that the depth you’re able to reach with a crankbait all depends on the thickness of your line, the weight of your leader, and the amount of line out, or in other words: If your’e using a weight, it will get you down much faster. I like to keep my crankbaits around 6 feet off the bottom. Again, it doesn’t matter if we are fishing Summer of Winter here, they will come up and grab the bait! Like mentioned earlier, active fish are always standing above the bottom. So let’s picture it this way. If you have a Pike that’s standing in 26 feet of water, or 8 meters such as shown in the cover picuture of this article, and the ”active” fish is 4 feet of the bottom, which is quite normal, and your bait runs in the 20 feet range, or maybe a less, your all set for a reaction strike to come. Again it doesn’t matter what season we’re talking about here, Pike really don’t care about it, and when they see the bait 1+1=2. The trolling speed you might be looking at is fast. Trolling speeds that vary from 2,5 to 4mph are what you want to get these baits down deep. But there are always exeptions. Like I said when fishing the mid-water section of a body of water and scaling down to smaller sized baits, there is one deadly technique that works all the time when the bite is off. And that’s fishing with a Pounder Bulldawg. We’re looking at a slow presentation here. There is no such thing as a Pounder. No other lure on the market can go up against the power of this bait when the bite is off. They trigger strikes no matter what. One of my absolute favourite techniques is letting the bait out on a long line, let’s say around 30-40 yards, and go as slow as possible on your outboard. What happends next here, is that the Bulldawg will fall down like a rock, and stay down. You don’t have to do any magic here, the bait will do it’s own. The tail wiggles in the dark depths as it will pull strikes from far away below. All in all there are so many different kind of techniques that will put you onto the fish when fishing on the edge of deep water. It’s just a matter of variation and paying consistent effort to try and catch the fish you desire. It might be a game of time and place at first, but it will be all worth it in the end. If you stick to the techniques described here in this article, and you believe in yourself, who knows what might be hiding for you in the mysterious depths on the edge!